A burning question is whether immunotherapy combinations will further improve outcomes compared with checkpoint inhibitor therapy alone—and if so, which combinations will rise to the top. Combining pembrolizumab (Key­truda) with standard pemetrexed (Alimta) plus a platinum-based chemotherapy improved overall survival (OS) versus chemotherapy alone as first-line therapy for patients with metastatic nonsquamous non–small-cell lung cancer (NSCLC) in KEYNOTE-189, a phase 3 clinical trial. The survival benefit with pembroliz­umab plus chemotherapy was independent of PD-L1 expression. These results were published online (Gandhi L, et al. N Engl J Med. 2018;378: 2078-2092) the day they were presented at the 2018 American Association for Cancer Research meeting, and made the front page of The New York Times. “Halving the risk of death is an unprecedented effect of therapy in the first-line setting for advanced nonsquamous NSCLC without EGFR or ALK alterations,” stated lead investigator Leena Gandhi, MD, PhD, Director, Thoracic Medical Oncology Program, Perlmutter Cancer Center, NYU Langone Health, New York City. “In patients with previously untreated metastatic nonsquamous NSCLC without EGFR or ALK mutations, the addition of pembroliz­umab to standard chemotherapy with pemetrexed and a platinum-based drug resulted in significantly longer OS and progression-free survival [PFS] than chemotherapy alone. Pembrolizu­mab plus pemetrexed and platinum may be a new standard of care for first-line treatment of metastatic nonsquamous NSCLC, irrespective of PD-L1 expression,” Dr Gandhi told listeners. KEYNOTE-189 enrolled 616 patients with untreated stage IV nonsquamous NSCLC and no sensitizing EGFR or ALK alterations. Patients were stratified for PD-L1 expression (tumor proportion score <1% or ≥1%) and randomized in a 2:1 ratio to treatment with 4 cycles of pembrolizumab plus pemetrexed and carboplatin or cisplatin or to placebo plus these chemotherapies. In the experimental arm, maintenance therapy was pembrolizumab plus pemetrexed; in the placebo arm, maintenance therapy was pemetrexed. Patients were allowed to cross over to pembrolizumab alone if they had disease progression. 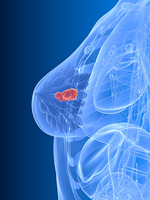 A significant benefit in OS was observed with pembrolizumab plus chemotherapy. The median OS was not yet reached in the experimental arm versus 11.3 months in the control arm. At 12 months, 69.2% of patients were alive in the experimental arm versus 49.4% in the control arm, a significant improvement in OS (P <.0001). All subgroups benefited from the addition of pembrolizumab, but the greatest benefit was in the high PD-L1 expression (≥50%) group. The PFS was significantly improved in the pembrolizumab arm, with a median PFS of 8.8 months versus 4.9 months for the controls, representing a 51% improvement. The 1-year PFS was 34.1% versus 17.3%, respectively (P <.0001). The PFS benefit was greatest in the group with high PD-L1 expression, but other subgroups also fared better with pembrolizumab than without. The rate of adverse events was similar across both treatment arms. Almost every patient had at least 1 adverse event, and approximately 67% had a grade ≥3 adverse event. The rate of treatment discontinuation because of adverse events was 13.8% in the pembrolizumab combination arm versus 7.9% in the control arm. Immune-mediated adverse events were 22.7% in the pembrolizumab arm versus 11.9% in the placebo arm. Grade ≥3 acute renal injury was more common with the pembro­lizumab combination, 5.2% versus 0.5% in the control arm; grade 3/4 nephritis was reported in 1.5% versus 0%, respectively. Dr Gandhi said that although all subgroups had a survival benefit with pembrolizumab, PD-L1 testing is still needed. “We would be hesitant to give up on that biomarker. PD-L1 may be part of a biomarker, perhaps added to tumor mutational burden,” Dr Gandhi stated. “In the US, we routinely get PD-L1 testing for most nonsquamous NSCLC. We also typically order next-generation sequencing, which can estimate tumor mutational burden,” she added. During the discussion, Roy S. Herbst, MD, MS, PhD, Chief of Medical Oncology, Yale Cancer Center and Smilow Cancer Hospital, New Haven, CT, stated that this new triplet combination will change the standard of care.